Bulb is a table lamp that pays homage to the iconic shape and materiality of the incandescent light bulb. 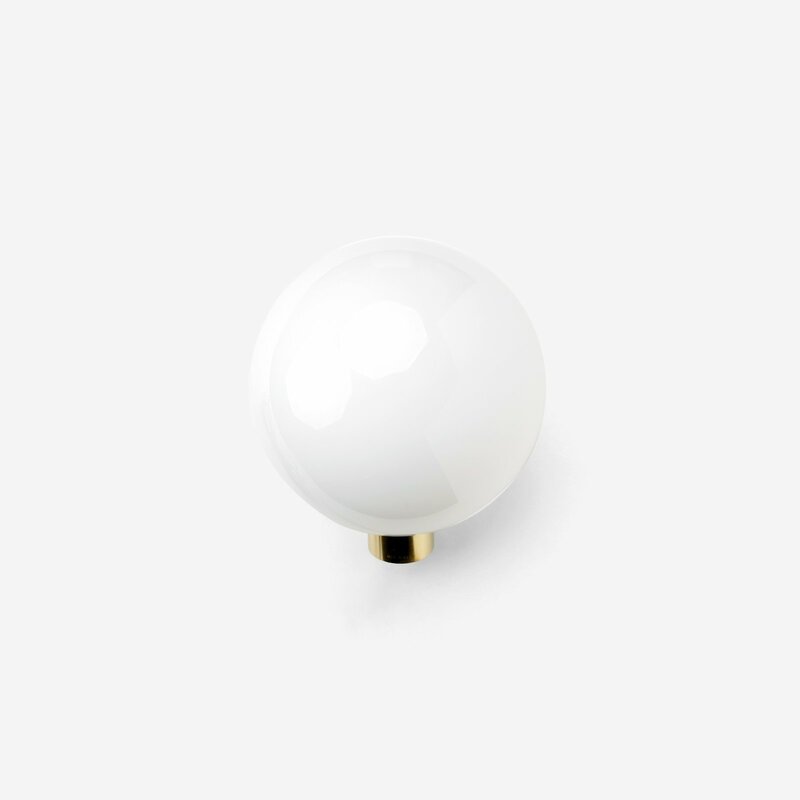 The light is made from hand blown opal glass and precision machined brass. The brass is unlacquered and will slowly develop an attractive natural patina. Regular light polishing with an appropriate metal cleaner will maintain the original finish.